International child abduction occurs when one parent wrongfully (ie in breach of the parental responsibility of the other parent) takes a child to a country other than that of the child's habitual residence, or wrongfully keeps a child in such country. The author of this work was part of a research team that conducted a study, partially funded by the European Commission, to examine this problem in Belgium and Hungary, analysing cases from 2007 and 2008 and interviewing affected parents. 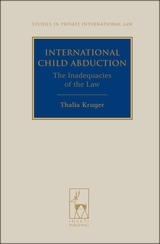 This book is a revised version of the Belgian research report, which sets the problem of child abduction within its international context. It looks at the families in which abductions took place, how preparations were made for abduction, the quest for the return of the child (including legal proceedings) and the aftermath of the abductions. Throughout the book, the results of the quantitative and qualitative data are explained. 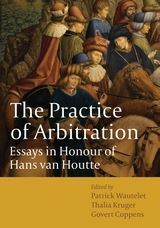 What emerges is that when a child is abducted, the solutions offered by the law are often inadequate. Family conflict is a complex societal issue, and child abduction is a severe form of family conflict. Rather than responding to child abduction with strict and contentious legal proceedings, the book argues that solutions based on respect, psychological assistance, and a search for consensus should be favoured. Thalia Kruger is a lecturer at the University of Antwerp, Belgium and honorary research associate at the University of Cape Town, South Africa.